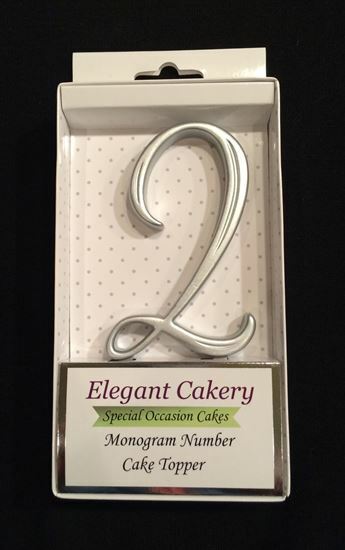 Silver Monogram cake toppers available in your choice of numbers. These gold picks are the perfect addition to any Birthday or Anniversary cake. Stands 3.5" tall, without the pick.